^ The Aberdeen and Grampian Tourist Board Scheme Amendment Order 1995. Legislation.gov.uk. 9 May 1995 [21 May 2012]. ^ Mid-2011 Population Estimates Scotland. Gro-scotland.gov.uk. 30 June 2011 [8 November 2012]. （原始内容存档于2012年10月31日）. ^ Mid-2011 Population Estimates Scotland. 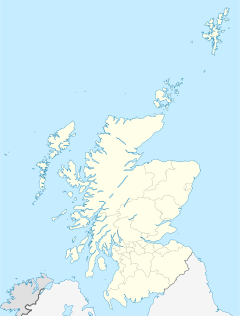 Gro-scotland.gov.uk. [8 November 2012]. （原始内容存档于2012年10月31日）. ^ Welcome to Aberdeen. Aberdeen Accommodation Index. [19 February 2007]. 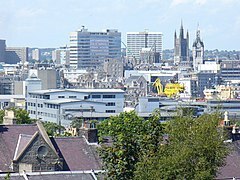 ^ Aberdeen's Twin Cities. Aberdeen City Council. [27 August 2015]. （原始内容存档于26 November 2014）. ^ Swimming Schedule and Results. [22 August 2007]. （原始内容存档于2007年8月11日）. ^ Ryan Gauld. Scottish Football Association. [22 December 2013]. ^ Law, Denis - Scotland U23. FibaStats. [30 August 2017]. ^ UEFA Champions League All time leading scorers. Stat Bunker. [2016-12-10]. ^ Rose Leslie. TVGuide.com. [4 April 2016]. （原始内容存档于13 September 2015）.